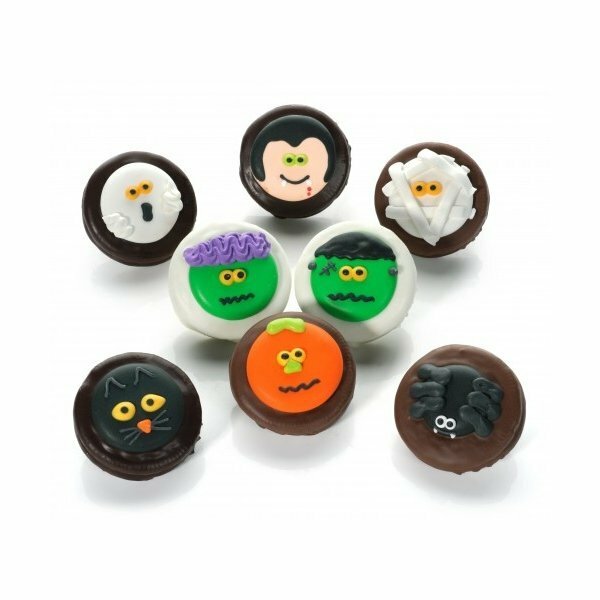 Choose our scarily cute and delicious Halloween themed Oreos that are enrobed in fine Belgian chocolate and then decorated with hand-crafted royal icing pumpkins, witches and ghosts and more! Each cookie is first tucked inside a clear cellophane bag, and heat-sealed at both ends for freshness. 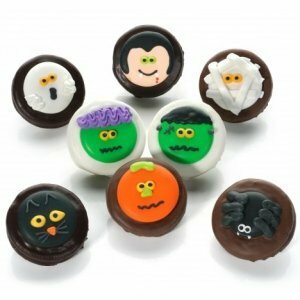 A great idea for Halloween Parties or to give to Trick-or-Treaters!